The beginning of May is a time when many feel uplifted that winter is finally behind us and we can truly look forward to lighter nights and warmer, sunnier days. If you live in Edinburgh you take the weather as it comes and delight in every bit of summer that comes your way – nothing is guaranteed here, but the illusion that it could be warm is there none the less. For me the beginning of May is not joyous, it is the anniversary of my Mum’s death. She died 5 years ago today. Never a day goes by that I wish I could ask her opinion on something, tell her something about the minutiae of my life or just have a cup of tea with her and put the world to rights. She would have been so full of ideas for the regeneration, she really helped with our last house renovation. I miss her so much. My sister and I got together for lunch at a The Gallery of Modern Art, a place she loved going with us. Nothing doing at the house today work wise, I wish things would get moving again so I can get F and H upstairs soon. We have chosen a carpet but there’s not point getting it fitted until the coast is clear up there. We still have lots of painting to do too. 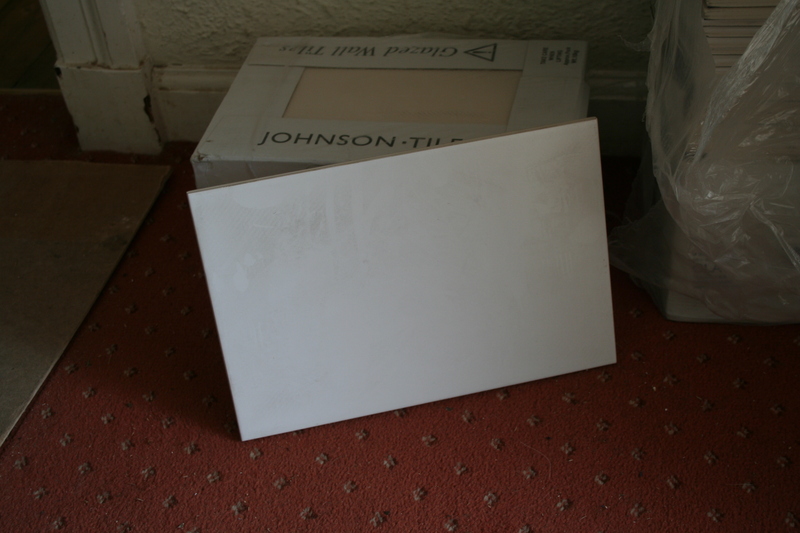 The tiles are here for the shower room, even better is they were a bargain. White is the colour yet again but they’re big tiles this time for a change. There are strong colours planned for the rest of the room so it certainly won’t be boring. 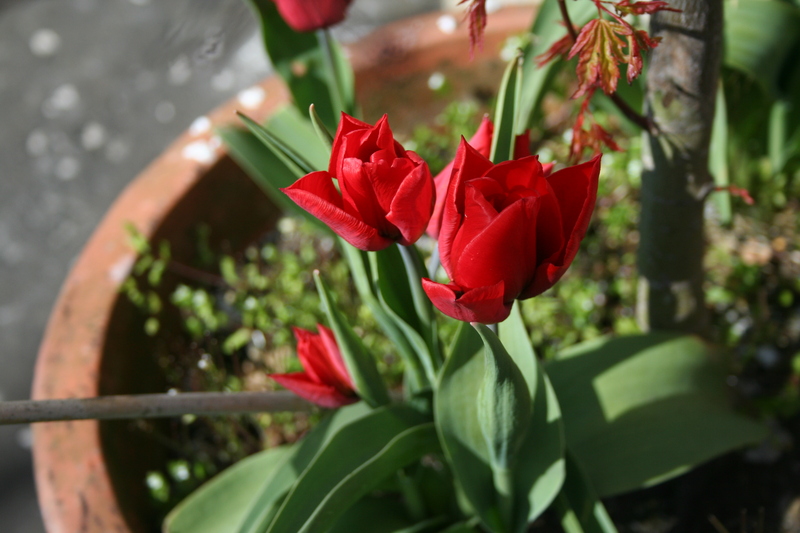 Here are a couple of flowers I spotted today in the garden, the tulips are below an acer and the magnolia is in a pot at the front of the house and left to its own devices, it was given to me as a birthday present quite a few years ago now. It is over a month later than usual flowering with our late spring. Remember to check out the Nature in the Home with Little Green Shed post. I ate too many rolls and scones in mums honour but worth it x lovely tiles!